Common determination and commitment essential to wipe out corruption-President - Integration Through Media ....! 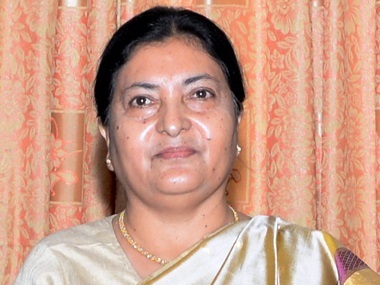 KATHMANDU: President Bidya Devi Bhandari has said that common determination and commitment of all the stakeholders were essential to abolish corruption from the country. Speaking at a function organised to mark the 28th establishment day of the Commission for Investigation of Abuse of Authority here today, President Bhandari pointed out the need to wipe out corrupt practices from the family, society and nation as soon as possible in order to ensure a bright future of the coming generation. “With the advent of new technologies and changed practices, corruption is said to being institutionalized, which is a matter of concern,” President Bhandari said while calling for collective efforts to combat corruption and enhance good governance. The President also appealed to all to contribute and support from their respective side to the anti-corruption campaign and observe zero tolerance against corruption.